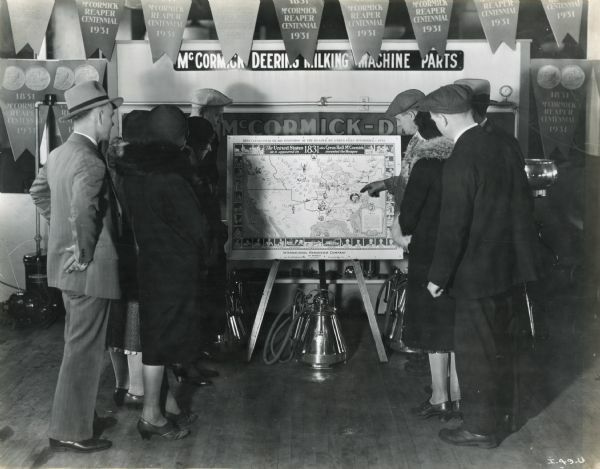 A group of people look at an 1831 United States map, part of a McCormick-Deering milking machine parts display. The title on the map reads, "The United States as it appeared in 1831, the year Cyrus Hall McCormick invented the Reaper." The map was produced for the Reaper Centennial celebration. The photograph was possibly taken in Milwaukee, Wisconsin.